More wealth brings in than all those three." Despite finding similar photos that identified these pretty flowers as pink black-eyed susans, I kept digging to discover that they're purple coneflowers in the Echinacea genus of the daisy family. Such a pretty flower - love the colors! 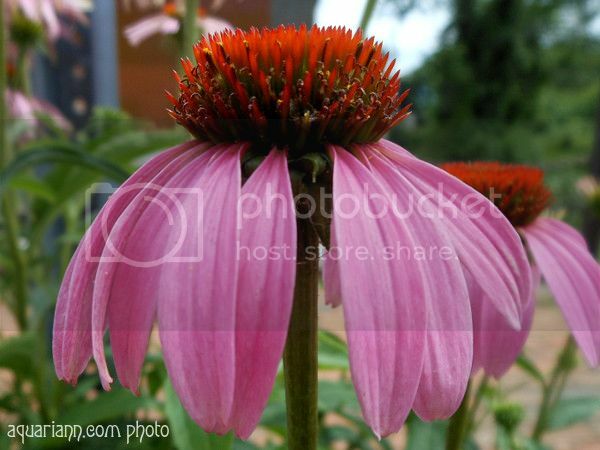 Purple Coneflowers are so beautiful! Have a terrific day. Such a pretty purple flower! Aren't they just a happy flower? Opening up to absorb the sun? :) Happy WW! Interesting purple flower.. the "core" of the flower is such a drastically different color. What an interesting bloom ! I saw some of these this past Saturday. They were past their peak and weren't nearly as pretty as yours, but nonetheless they were still nice to see. Great job! It's a lovely flower and your photo of it is amazing. I always look forward to your flower pics! What a pretty one! I've never seen one of these before. It's pretty! Love it! They would look great in my garden! What a beautiful flower, and the shot came out very nice !!! One of my faves and definitely growing (purple) in my own garden. beautiful shot. I love Purple Coneflowers. They are native to my home state of Wisconsin. Have a terrific night!